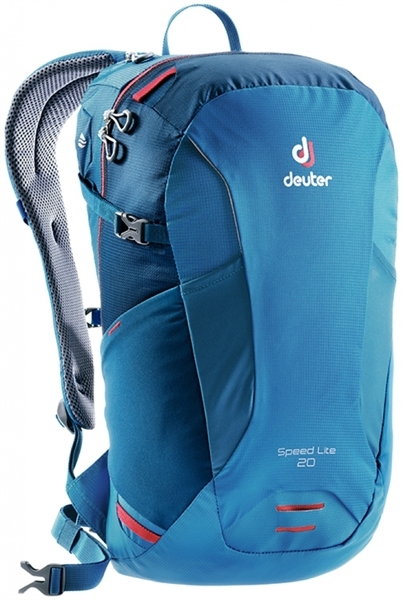 Product information "Deuter Speed Lite 20 bay-midnight"
Fast and easy on the mountain with the Speed Lite. With plenty of freedom of movement thanks to its athletic V-cut and anatomically shaped shoulder straps, this lightweight all-rounder offers daytime hikes and many other athletic uses. High wearing comfort and technically sophisticated, clever functions without unnecessary material pounds are the motto of the Speed Lite. with ergonomically cut, S-shaped shoulder straps with easily adjustable chest strap. The extremely light and minimalist Lite back system makes it easy to carry low to medium loads. It offers a close-fitting, secure fit for demanding terrain through padded back with venting 3D AirMesh cover. The backpack offers an optimal load center thanks to its athletic V-cut. Related links to "Deuter Speed Lite 20 bay-midnight"
Customer evaluation for "Deuter Speed Lite 20 bay-midnight"